Against a backdrop of potential global trade wars and increasingly protectionist policies by the US administration, the European Commission issued Google with a record fine of €4.34 billion on Wednesday, 18 July. This is the largest EU fine for an antitrust breach ever levied on a single firm, smashing the previous record of €2.42 billion previously imposed on, guess who?, Google for abuse of dominance in June 2017. While the latter fine related to a Commission finding that Google abused its dominance as a search engine by giving illegal advantage to its own comparison shopping service, the latest fine relates to abusive conduct concerning Android mobile phone and tablet operating systems. The Android operating system is currently used by 80% of mobile phones worldwide. The decision concludes a three year inquiry by the European Commission initiated following a number of complaints by rivals. Google prevented device manufacturers from using any alternative version of Android that was not approved by Google (otherwise it would refuse permission to manufacturers to pre-install Google apps). The Google Play Store is free to use under licence from Google, but the conditionality attached to its use by Google for manufacturers and mobile network operators is at the heart of the Commission’s concerns. Commissioner Vestager stated that rival search engines “never really” got a foothold on the Android operating system because of Google’s practices. The significant level of the fine is intended to reflect, in Commissioner Vestager’s words, the “very serious illegal behaviour” of Google. While the figure is eye-watering, Google’s parent company, Alphabet Inc., reportedly has cash reserves in excess of US$100 billion. Of potentially greater importance is the fact that Google now has 90 days to make key changes to the way it does business throughout Europe. Effectively it must remove the contractual restrictions it currently has in place regarding Google Play. Failing that, the Commission may issue additional daily fines. President Trump apparently told Jean-Claude Juncker, European Commission President, that “Your tax lady really hates the US”, in a reference to Commissioner Vestager at the G7 summit in Canada earlier in June. This finding against Google, as an American tech firm, follows previous decisions under Commissioner Vestager’s watch such as the Apple and Amazon State aid decisions and Facebook’s fine arising out of its WhatsApp merger. It’s little wonder that Commissioner Vestager had to defend herself against accusations of bias during her press conference announcing the latest fine. She was clear that due process had been followed and suggested that the US competition authorities want fair competition just as much as Europe does. As it stands, the Commission’s decision may have substantial wider implications for Google. 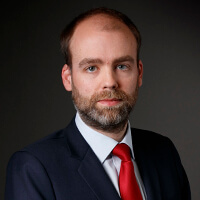 Payment of the fine is unlikely to be the issue – rather, the obligation to change how its runs its business will have more profound implications, particularly if other regulators follow suit and find the practices considered in the Commission’s decision to be objectionable in their territories too. And that’s the great known unknown, to paraphrase another recent American politician. Of course the decision against Google also has implications for a multitude of other businesses, particularly its rivals. Some may argue that this is too little, too late but we’ve already seen multiple follow-on damages action brought against Google following the Commission’s 2017 finding against it in relation to shopping comparison services. Expect to see this trend continue for those rivals affected by Google’s Android related practices. Whatever happens next, this is certainly not the last of the European Commission’s antitrust battle with Google. A business that can turn its brand name into an eponymous verb within less than twenty years will surely want to continue to push the boundaries of what the internet means and consumers want. Google’s immediate response has been to appeal the Commission’s decision too, so the fight goes on. Tellingly, when asked if the European Commission wanted Google to apologise for its conduct, Commissioner Vestager said this isn’t a moral endeavour – she’d just like Google to “play by the rules”. The question in the background is whether the European Commission thinks Google should be broken up to improve competition. With close to €7 billion in fines in two adverse decisions over the past year, and an ongoing investigation into Google’s advertising business being conducted by the Commission, will it be a case of “three strikes and you’re out”?